People across the Tri-State will continue feeling those freezing temperatures into the night. Meanwhile, heating and plumbing companies are hard at work making sure homes are winter ready. “Now is the time to do it,” says Everett Baylor, Baylor Heating and Air Conditioning president. Temperatures are quickly dropping to 20 degrees or less in some parts of the Tri-State which means companies like Baylor Heating, Air Conditioning, and Plumbing in Evansville will be hard at work. With the freezing temperatures it’s not too late to prepare your home and prevent it from being damaged. “Now that the cold weather is really coming in it is important to check and make sure furnace filters are good and clean. 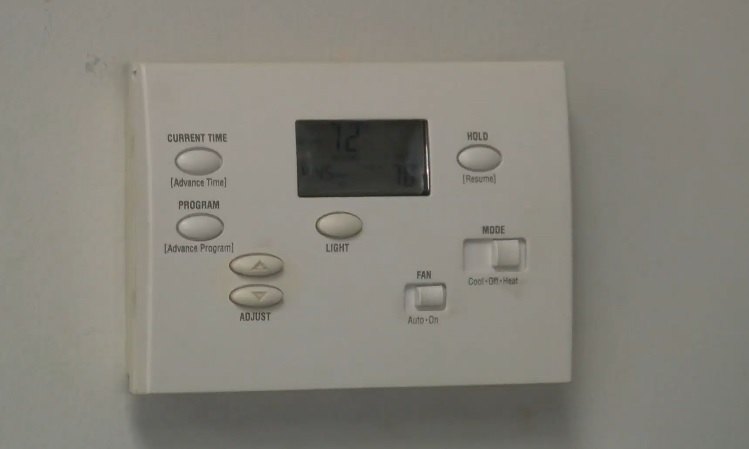 Make sure that your thermostat batteries have been changed,” says Baylor. Baylor says it’s recommended to turn your inside faucets on so they can slightly drip to prevent them from freezing. “Probably the best preventive maintenance on that when it really dips down to zero or five maybe let a little water run in your faucets,” says Baylor. Baylor reminds people to keep thermostats in the heat mode and open cabinet doors underneath sinks to allow the room temperature to keep pipes from freezing. “At least 68 degrees in your home because of the frozen pipes,” says Baylor. The steps are a quick and easy way to make sure you don’t end up with a headache or money wasted. “Sometimes they just aren’t aware of it and then we have the problem it breaks and then they are aware of it. If you just become a little proactive you’re not going to have any problems,” says Baylor. Tuesday is currently forecast to be the coldest day since last January. If you do have any questions or concerns, Baylor recommends calling a certified plumber to check your home.